32 years, 3 months, 30 days old age. T. J. Oshie will turn 33 on 23 December, 2019. Only 8 months, 22 hours, 26 minutes has left for his next birthday. T. J. Oshie has celebrated the total number of 32 birthdays till date. See the analysis by days count and bar graph. 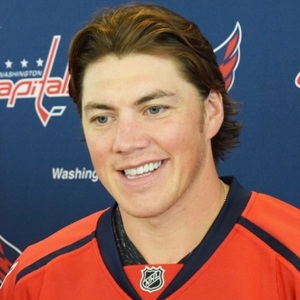 T. J. Oshie was born on 23-12-1986 in Mount Vernon in the state of Washington, United States. He is an American Ice Hockey Player. He was born to Tim Oshie and Tina Oshie. He has two sisters named Tawni Oshie, Aleah Hangsleben, and a brother named Taylor Oshie. He is married to Lauren Cosgrove since 2015 and has two daughters named Lyla Grace Oshie and Leni Rose Oshie.